This isn’t going to help SeaWorld’s public image. Seven months ago, and as part of a long-ensuing battle, animal rights group People for Ethical Treatment of Animals (PETA) accused the entertainment company of spying on critics and activists. The nonprofit group presented evidence that a San Diego employee from the company had attended protests and had made comments on social media while portraying themselves to be an activist. On Thursday, SeaWorld publically admitted that multiple employees have posed as animal activists in an attempt to spy on its critics. The statement seems to admit that the practice of spying was at least authorized and possibly intentionally utilized by some in management, rather merely than a rogue employee or two. In a statement, PETA said, “SeaWorld’s latest report confirms not only that the company has employed more than one spy to infiltrate and agitate at PETA but also that it values its spies more highly than the executives who have had their heads chopped off in droves, as at least one of the spies is still working at the company.” The nonprofit group has been campaigning since 1998 to release Tilikum, one of the company’s captive whales, and the other captive orcas, some of which have been living in confined tanks for decades. 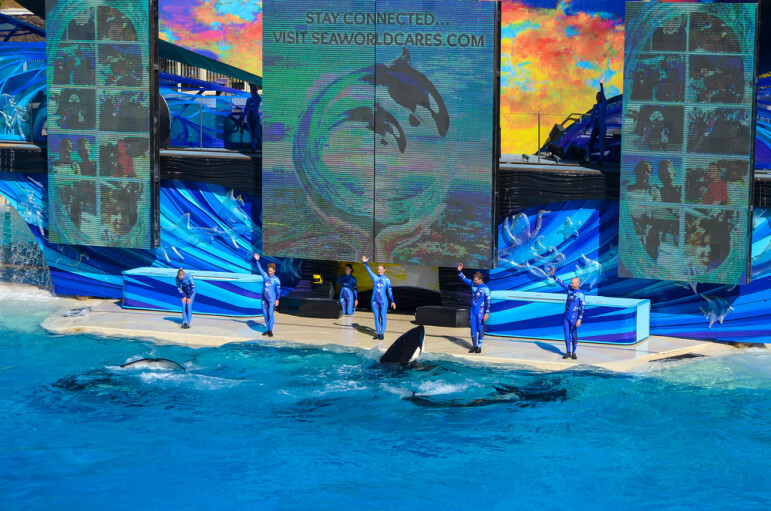 In July, SeaWorld launched an investigation into the employee in question that was originally accused of spying by PETA. SeaWorld wouldn’t confirm whether any kind of disciplinary action was taken against the employee.